The sleek performance of a softshell garment in a versatile, well-fitting sheet! 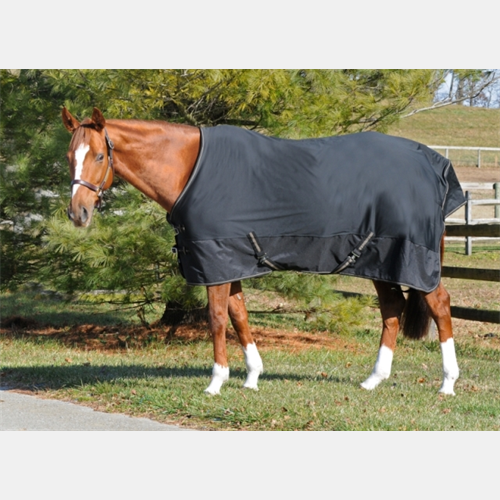 This Waterproof & breathable fabric feature a Sympatex membrane for waterproof & breathable comfort, mirco fleece lining, and durable softshell outer fabric that won't pick up shavings or straw. Double front buckle closure, elasticized cross surcingle's, tail flap and removable elastic leg straps.